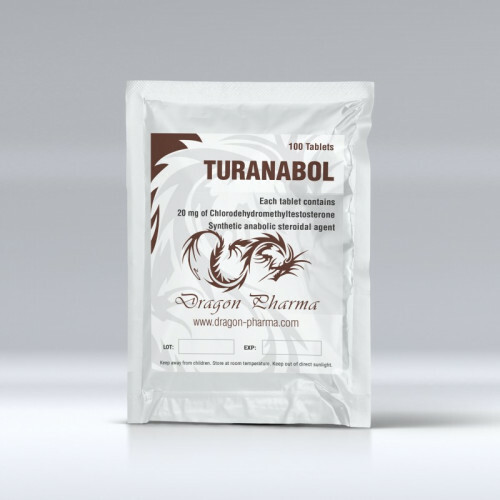 What is Dragon Pharma Turanabol 100 Tablets 20 mg ? 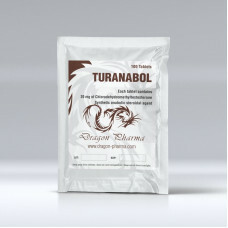 Dragon pharma turanabol 20 mg 100 tablets is oral anabolic steroid product. Each tab contains 20 mg Chlorodehydromethyltestosterone powder. Dragon pharma producure in Europe. Turinabol which only comes in Oral form was first developed in East Germany for their Olympic and their athletes. This blue tablets was given to the athletes as “Vitamins” by their coaches. Later on these pills were produced by underground labs. It is liver hepatotoxic to the liver due its 17-alpha alkylated and can’t break down easily on the liver. OT(which is the short name for Oral Turinabol) has a much lower of androgenic activity compared to Dianabol but better androgenic and anabolic effects. Due this you won’t experience side effects such as water retention, acne, gynecomastia during doses under 40 mgs/day. Turinabol also called OT is a 17-alpha alkylated oral steroid which is not available in liquid form. This makes it hepatotoxic cause it cant be digested easily by the liver. It works without causing water retention or estrogenic effects. It is a derivative of Dianabol and the users experience slow and good gains which gives the muscle a defined look due the low water retention. Turinabol was developed in the 1960`s by the east germans. 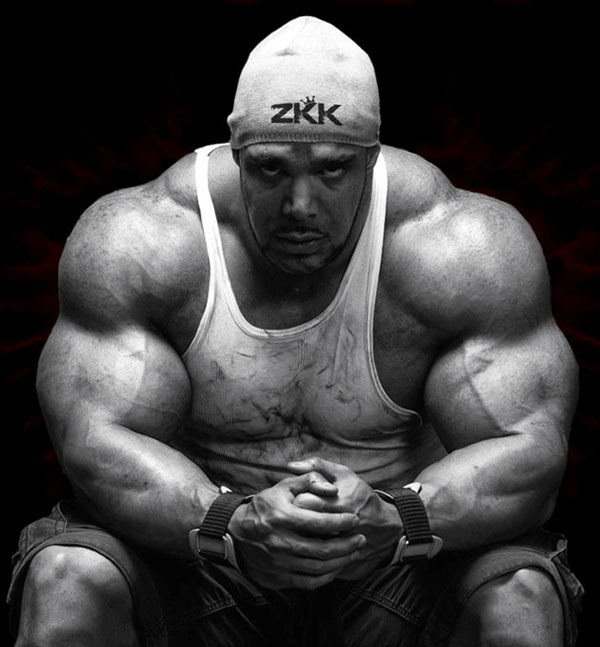 Its a very popular steroid among users because if its low health risks and quality muscle mass it gains. It will give the user good strenght gain if its taken over several weeks. Its also relative to the dosages its taken. It makes Turinabol suitable for both men and women due its characteristics features . Women get better low-dose effect than men and higher doses(20mg+) seem to cause more side effects than men such as clitoral enlargement, acne, hirsutism, hair loss, deepened voice and menstrual disorders. Metabolites in Turinabol are excreted relatively quickly through the urine and quickly broken down by the body. A combination of Turinabol, Parabolan and Winstrol is a good cycle preferred by many. The recommendations are 6-7 week of use to avoid liver damage. Turinabol can reduce blood clotting, this means if you get cut, it may take longer to stop bleeding and heal. The half life for Turinabol is 16 hours. The side effects depend on the dosage level. Gynecomastia high blood pressure occurs rarely with Turinabol. Reduced testosterone production can rarely be avoided in men. Acne, gastrointestinal pain and aggressive behavior, increased libido is possible with use of Turinabol. The average dose for men is about 10-80 mg a day for 6-8 weeks and 5-20 mg for women.